The Dar es Salaam Area Programme Manager is accountable for providing management and oversight of the implementation of all the awards in Dar es Salaam (DeS) and based out of DeS and to represent and advocate for Save the Children’s work and organizational priorities with a wide range of external parties including government representatives, communities, donors, UN and other humanitarian agencies operating in the area. He/she will provide leadership and guidance to the programme team comprising different sectors of (currently) Child Protection, Child Rights Governance, Health/youth and Education. Save the Children has been operational in Tanzania since 1986 providing support to children through developmental and humanitarian relief programmes delivered in support of Government of Tanzania priorities and policies both directly and through local partners. Current programming focuses on child protection, child rights governance, education, nutrition, HIV/TB and emergency response. In 2012, as part of a global reorganization process, Save the Children combined programmes of SCUK, SCUS, SC Sweden to create a single operation in Tanzania. We currently have an operational presence in Dodoma, Shinyanga, Zanzibar, Songwe and Kigoma and we work through partners in other parts of the country. We employ nearly 100 staff and have an annual operating budget of approximately $10 million. Dimensions: Maintains strong linkages with the Support Services Director, Senior HR and Admin Manager, Head of Awards and Director of Programme Development and Quality. Staff directly reporting to this post: Senior Programme Manager SIDA Core, Programme Manager ARSHR, Discover Learning Programme Manager, Comic Relief Programme Manager, Wellspring Education Officer. Ensure that budget holders have all planned activities and related expenditures for the DeS projects on track with recorded DIPs in strict compliance with the agreed budget lines and Save the Children’s financial regulations and are reviewed on a monthly basis during Regular Award Review Meetings. Contribute to the development of same for any new awards through relevant budget holders and link with DPI for activities in field offices. Work closely with the Partnership Manager (PM) and programme managers to ensure the quality of partner identification, training and task implementation within these awards. Through the programme managers support partners in the implementation of projects and ensure a capacity assessment and development plan is in place, regularly reviewed and followed-through. Ensure the programme managers develop technical materials in collaboration with Technical Specialists and possibly outside consultants to further programme activities, objectives and results. Ensure all programme activities on the ground fulfil the requirements of the approved Save the Children Country strategic plan. 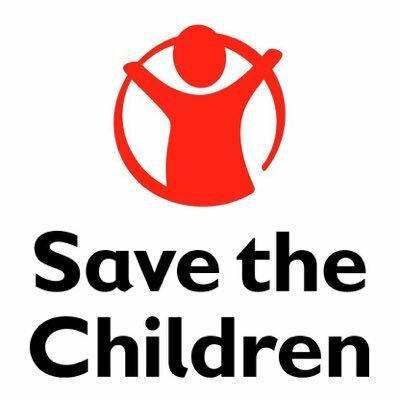 Ensure all staff comply with Save the Children financial and logistics procedures. Ensure functional systems are in place for effective project planning, preparation, start-up and implementation in each of the awards through the relevant budget holder. Ensure that programme managers prepare monthly project updates and quarterly / annual reports including all required documentation and ensure timely submission to the Senior Management and donors through the member office. Ensure all programme activities are in accordance with the approved Save the Children Country strategic plan. Ensure that security guidelines are prepared and followed in Dar es Salaam for actual operational sites and that any breaches of these are handled appropriately: monitor the security situation in the programme area and respond accordingly. Record and report any security incidents to the country Safety and Security Focal Point and the Director Programme Implementation/Country Director. Incorporate child rights programming into all aspects of Save the Children's work in the operational areas where possible and with support from DeS office colleagues and ensure requirements of Save the Children Child Safeguarding Policy are fully complied with by all staff, partners and visitors to the programme. Ensure programme managers include baseline studies, formative assessments, mid-term evaluations, final evaluations and other research studies as well as learning events as part of annual DIPs and inform MEAL team when a new grant will begin and development of MIS is required. In collaboration with MEAL unit, ensure the development of process, output and outcome level Quality Benchmarks and that programme managers regularly review progress on indicators/achievement of targets. Lead the programme managers to discuss monitoring findings during programme coordination/review meetings, review MEAL reports to highlight key project strengths and areas of improvement, and use learning from monitoring reports for project planning and implementation. Provide programmatic inputs for the development of the ToRs of evaluations/baseline studies which include background information and scope of work and proposed methodology in conjunction with TS and MEAL input. Be part of review of accountability to beneficiaries’ data and reports and provide technical support to implementation team using key learning from accountability system for program development, planning, improvement and implementation. Line management responsibilities for the programme managers based in Dar es Salaam. Support the programme managers in the recruitment, training, and promotion of staff as appropriate and ensure appropriate professional development opportunities are provided, in addition to line reports. Manage the performance of all supervisees through the effective use of the Performance Management System and ongoing mentoring/coaching. Lead, manage and motivate the relevant staff members, ensuring they have clear work plans and objectives and receive quarterly supervisions and reviews. Regularly coordinate and collaborate with other SC sector teams to strengthen programming and impact for children. Engage the donor and Tanzania government officials at all required levels as required to ensure Save the Children is considered a preferred and active partner in Tanzania. Represent SCI in various meetings with GoT at different levels, donors and local and international partners when required. Demonstrates leadership in all our work, role models our value, articulates a compelling vision to inspire others to achieve our goals for children. Creates and engages others in a shared vision and strategy that will deliver more for children. Inspires people to reach the highest standards of performance and a sense of pride in belonging to the organisation. Takes effective, considered and timely decisions by gathering and evaluating relevant information from within or outside the organisation and making appropriate judgements. Identifies and addresses root causes of Long-term problems facing the organisation. Brings in external perspective to ensure strategic decision making remains relevant and future focused. Provides a strategic framework to support decision making across the organisation. Explores and analyses external trends and their potential impact on strategic choices. Takes calculated risks and has the courage to stand by decisions despite resistance. Builds and uses sustainable relationships and networks to support the work of Save The Children. Role models transparency and openness when engaging with others. Drives external networks and partnerships in the sector and beyond. Aligns and builds networks and alliances to reflect global shifts and opportunities. Gathers intelligence from external networks to influence the medium and longer term impact of our work with children. Degree level in management or social studies. Masters preferred. Five years of relevant area work experience or equivalent. Experience in sectors of CP, CRG, Education and Health/youth programming will be considered as strong assets as well as practical knowledge of child participation methodologies. Strong technical grasp of Project Management (diploma, accreditation) will be considered an asset. Substantial budget holding responsibilities – experience of managing annual budgets of approximately $500,000. Proven leadership skills – previous experience of line managing staff.